Two years ago, the first steps were taken in what turned out to be the run up to the biggest museum for street art and urban contemporary art in the world. 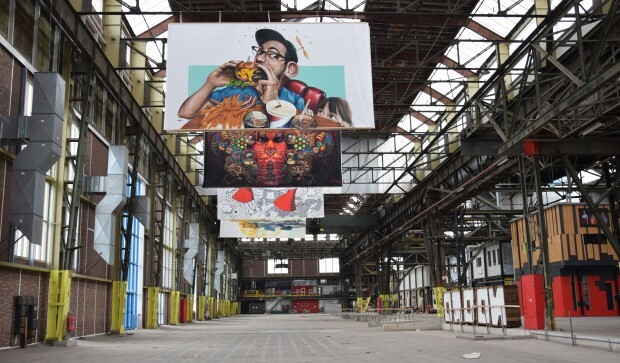 The initiators aim to fill the 7000m² and 24 meter high former welding hangar with artworks and all kinds of street art installations, workshops and more. Producer Ilja de Leeuw is working on this project along with Peter Coolen, and I met her at Street Art Today to learn how this idea was born and is growing. The place hasn’t been chosen by chance: “It’s been transformed since the last 15 years, but it’s one of the oldest places where graffiti writers would come. It has a lot history when it comes to street art.” The most impressive thing is that the shipyard building which is becoming the museum is a part of the exhibition as well: “It breeds a lot of what it used to be (an industrial park) and it’s the only place at the wharf that hasn’t been renovated. It’s the last warehouse in its original state from when it was a shipyard; When the museum opens, we still want people to come and paint on the outside walls and be part of the museum.”. Not everything in the street is street art; when a statue is placed I don’t call it street art, but art in the street. You can become an artist by painting outside, on the future museum’s walls: “people can be a part of the museum as well as artists who are starting. 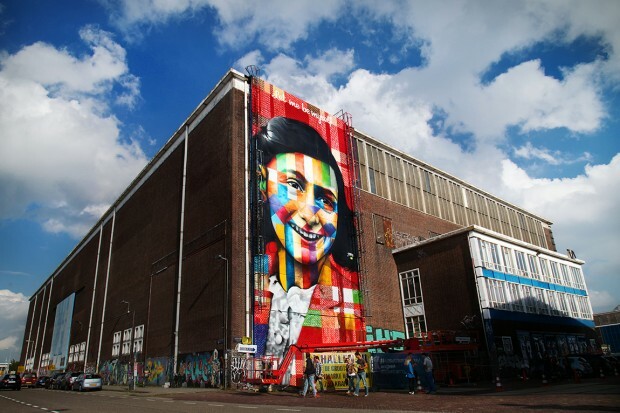 That’s one of the things that makes this big project unique.” From summer 2018, join the creative experience at the biggest street art museum of the world.